Left to grow and become overhang, hedges can restrict the pavements, paths and roads. They need well done and regularly trimming to be shaped to the necessary size and look good. 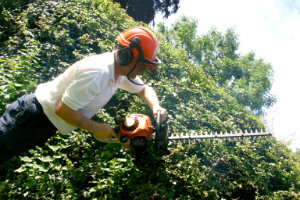 We can help you keep your hedges trimmed and save you the problems with the authorities. Hedges should be cut at least once in the year, some species need two or three time per year cutting. Make your garden and yard impeccable using our professional hedge trimming services that we conduct in Finchley N3 to property owners. You will be pleased with the results and won’t be overcharged. The use of suitable tools and equipment for the work: shears, hedge trimmers, gloves, glasses, etc. The best way to ensure the healthy and proper growth of your hedges is by using the services of proficient gardeners. Our specialists in hedge trimming and maintenance can provide proper cutting at the most suitable time of the year for each plant. They are supplied with all necessary tools, machines and equipment to provide safe, effective and speedy work. Depending on the specie and kind of hedge, our gardeners can implement the necessary pruning to prevent it become overhanging. 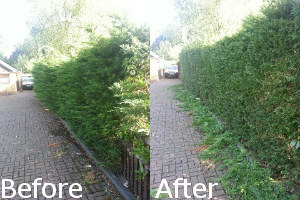 We carry out professional hedge trimming to the Finchley residents at affordable prices. By providing proper and regular cares and reducing of the branches of the bushes in your property you will keep them thick, flowering and presentable. It is important the trimming of all flowering hedges like fuchsia and others to be done at the right time of the year or it won’t blossom. We provide highly reliable hedge trimming throughout N3 for upright, evergreen, stocky deciduous species and conifers. 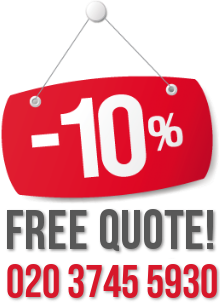 Use our services to make sure the hedges in your yard and estate are well looked after.